My Samson LTS50 Laptop Stand Review. 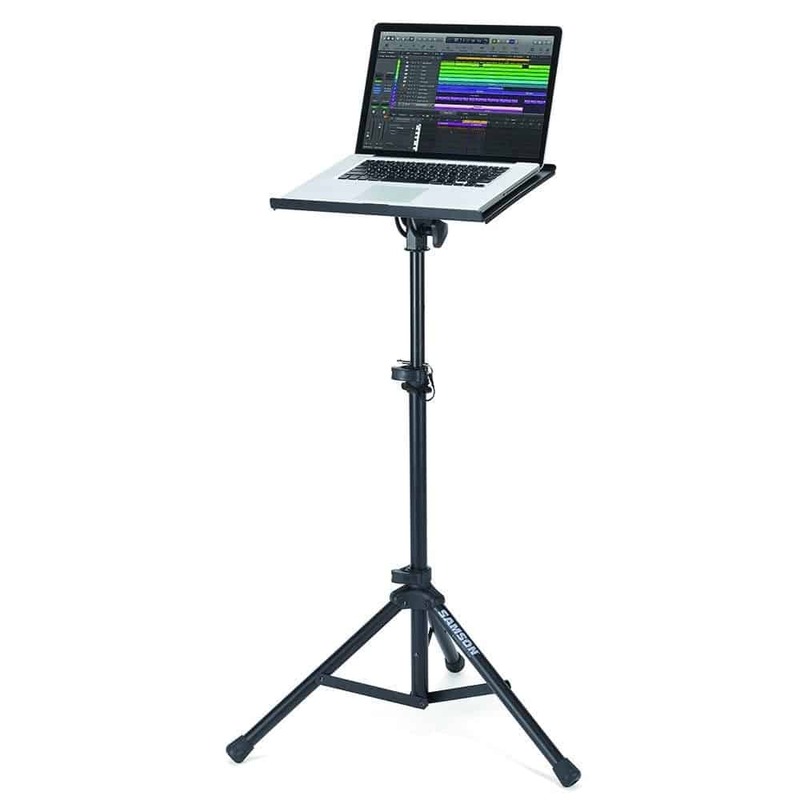 The Samson LTS50 stand is a durable, portable, with a tripod base laptop stand that is designed for most live and studio (Sound studio, video studio, etc) use. The stand’s structure is made mainly of steel with a silicon top that holds the laptop securely in place, and to make it portable, they’ve given it a fold-up design and a detachable top so you can easily assemble and disassemble it when you travel with it. See all 150+ customer reviews from Amazon here! This review of the Samson LTS50 laptop stand is going to give you an additional perspective into the stand so I can make the decision part whether to buy it or not easier for you. The Samson LTS50 Dimensions & Build. The Samson LTS50 is definitely not the smallest laptop stand out there, but the added space and material is necessary to make it roadworthy and durable while still being portable. It weighs around 10.4 pounds (Mostly on the tripod base part) and the surface’s length and width is around 5 x 12 inches respectfully, with open side edges. The whole stand is constructed of high-quality solid steel with a sturdy tripod base, and a double locking mechanism for extra security that includes both quick lock latches and safety pins, in case one mechanism fails, the other will back it up and keep your equipment secure. 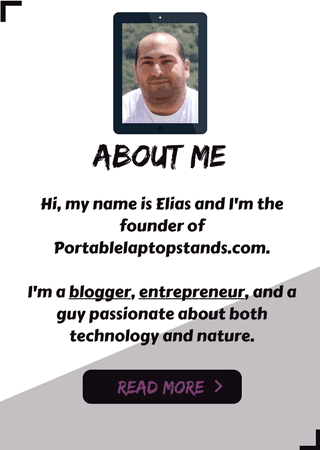 The stand looks like it’s designed for laptops and Macs that are 13″ – 15.5″ wide, but the open edges on the surface make it possible to fit bigger and wider laptops on top. Weight isn’t an issue for this stand as it’s designed to sustain high equipment easily through the sleek steel design and the sturdy tripod base. You can confidently lay very heavy laptops on top of this stand, and even other heavy equipment such as projectors and speakers like some customers have done and reported no problems at all. There is no official Samson weight limitation for this stand but it’s been reported to withstand some really heavy equipment. So, in terms of compatibility, this stand can fit and sustain just about any portable equipment you might have. BE CAREFUL: This stand is made for laptops and Macs. So please, even if it’s been proven to sustain other heavy equipment like speakers or projectors, you are advised to use your own reasoning whether to use the equipment with this stand or not, and monitor it if this is the first time you’re using them together. ERGONOMY: Height adjustable from approximately ~30 inches up to 45 inches. Tilting of the platform is possible too to reach maximum viewing and working comfortability. Best Applications for the Samsom LTS50. I’m going to list in my opinion the best applications possible for a sturdy, portable stand like this Samson LTS50 here. Are you a Teacher? Lecturer? Speaker? Want a reliable stand to hold either your laptop or your projector? This stand could be what you’re looking for. This laptop stand is great for live DJ performances. Just adjust the height and tilt the platform to fit the exact view that you need, and you’re covered for the entire evening. You don’t need to worry about your workstation after that. Are you a Composer? 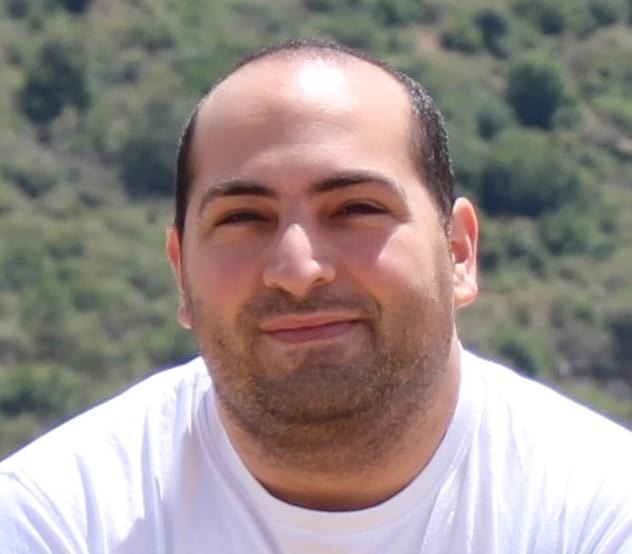 Video Editor? Music/Video Producer? DJ/Sound Mixer? This is a great and reliable stand to have in your arsenal in the studio to hold your laptop securely for you. A lot of times entrepreneurs need to travel around to hold meetings or deliver some important presentations for new business opportunities or educational purposes. When this stand is with you, you don’t need to worry anymore about where you’re going to put your laptop or whether it’s safe and secure there or not. It’s safe to say that if you’re a studio worker or need a stable platform to perform live on stage with your laptop or some other portable equipment, then the Samson LTS50 is probably what you need. It’s portable and lightweight compared to other products with similar applications, sturdy and stable with most compatible devices, and it’s ergonomic so you can work comfortably for long consecutive hours. I wouldn’t recommend this stand for general use, such as networking or gaming around the house, basically because there are other better options (Like Avantree and the Executive Office Solutions laptop stands) that have better dimensions and ergonomy for such purposes, and you can use them on top of your office desk, on the sofa, on bed, and they’re more lightweight and easier to carry around. However, if you’re a professional, and need a portable, sturdy, reliable stand for both studio and live action, then look no further than this one. Occasions/Purpose: Live and Studio Use. Bought one for a laptop stand and it was great. Noticed that it made the most portable stand-up podium possible and bought a second one for that purpose as well. The gel pad helps the laptop to stick to the surface. It is easy to set-up and take down. The top surface can rotate. Surprisingly good – much better than expected.